For some reason it seems like September was reallllly long.. I am hoping that I can have some time to enjoy this fall…it’s my favorite season! 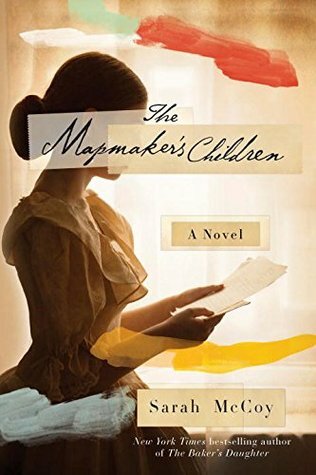 The Mapmaker’s Children by Sarah McCoy – When Sarah Brown, daughter of abolitionist John Brown, realizes that her artistic talents may be able to help save the lives of slaves fleeing north, she becomes one of the Underground Railroad’s leading mapmakers, taking her cues from the slave code quilts and hiding her maps within her paintings. She boldly embraces this calling after being told the shocking news that she can’t bear children, but as the country steers toward bloody civil war, Sarah faces difficult sacrifices that could put all she loves in peril. Eden, a modern woman desperate to conceive a child with her husband, moves to an old house in the suburbs and discovers a porcelain head hidden in the root cellar—the remains of an Underground Railroad doll with an extraordinary past of secret messages, danger and deliverance. Ingeniously plotted to a riveting end, Sarah and Eden’s woven lives connect the past to the present, forcing each of them to define courage, family, love, and legacy in a new way. 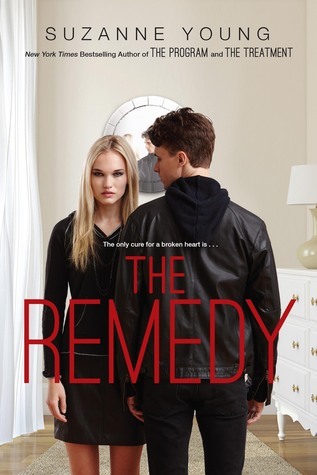 The Remedy by Suzanne Young – Quinlan McKee is a closer. Since the age of seven, Quinn has held the responsibility of providing closure to grieving families with a special skill—she can “become” anyone. What I thought: This book kept my interest. The story was different. The ending was a little off for me. I liked the book though! 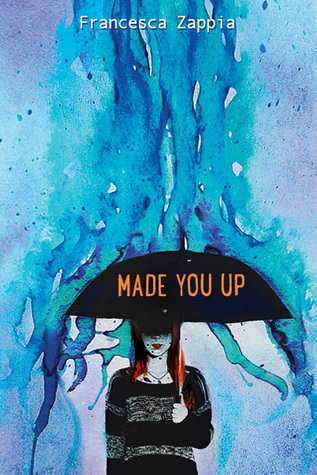 Made You Up by Francesca Zappia – Reality, it turns out, is often not what you perceive it to be—sometimes, there really is someone out to get you. Made You Up tells the story of Alex, a high school senior unable to tell the difference between real life and delusion. This is a compelling and provoking literary debut that will appeal to fans of Wes Anderson, Silver Linings Playbook, and Liar. Alex fights a daily battle to figure out the difference between reality and delusion. Armed with a take-no-prisoners attitude, her camera, a Magic 8-Ball, and her only ally (her little sister), Alex wages a war against her schizophrenia, determined to stay sane long enough to get into college. She’s pretty optimistic about her chances until classes begin, and she runs into Miles. Didn’t she imagine him? Before she knows it, Alex is making friends, going to parties, falling in love, and experiencing all the usual rites of passage for teenagers. But Alex is used to being crazy. She’s not prepared for normal. Funny, provoking, and ultimately moving, this debut novel featuring the quintessential unreliable narrator will have readers turning the pages and trying to figure out what is real and what is made up. 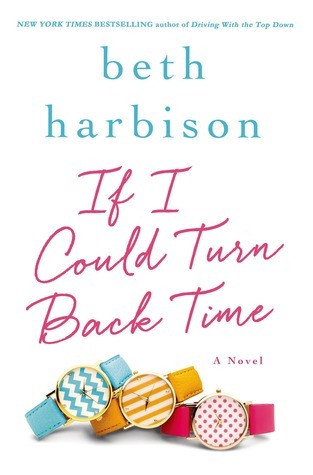 If I Could Turn Back Time by Beth Harbison – Thirty-seven year old Ramie Phillips has led a very successful life. She made her fortune and now she hob nobs with the very rich and occasionally the semi-famous, and she enjoys luxuries she only dreamed of as a middle-class kid growing up in Potomac, Maryland. But despite it all, she can’t ignore the fact that she isn’t necessarily happy. In fact, lately Ramie has begun to feel more than a little empty. Ramie finds herself back on the eve of her eighteenth birthday, with a second chance to see the people she’s lost and change the choices she regrets. How did she get back here? Has she gone off the deep end? Is she really back in time? Above all, she’ll have to answer the question that no one else can: What it is that she really wants from the past, and for her future? What I thought: I liked this book as well! It definitely had me doing the ‘what if’ questions.. It was told well and didn’t make you feel like it was a dumb story. a few of these are on my goodreads…. glad to see your reviews!